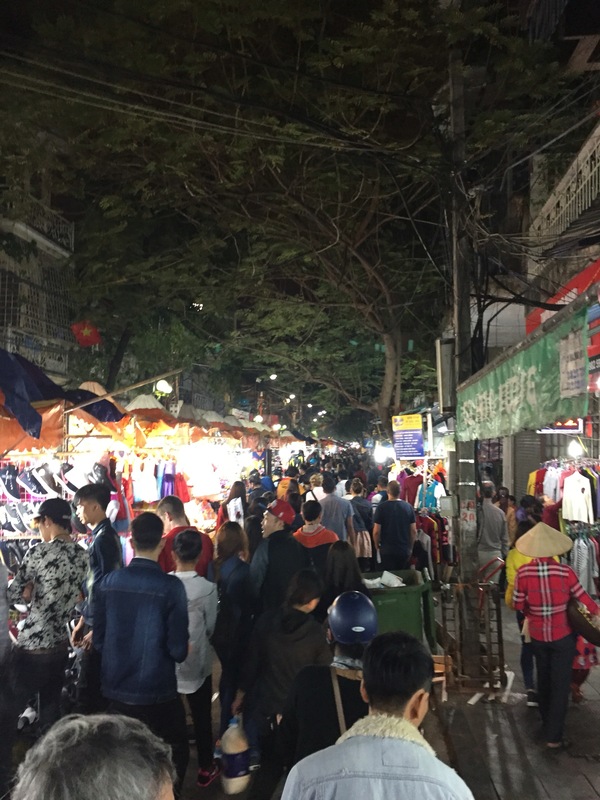 Upon our arrival into Hanoi, it is very easy to get caught up in all of the hustle and bustle of such a large city. It seems as though everyone has their own agenda and their own priorities in mind. Through our personal journey with VALOR, we have learned more and more about servant leadership. So why not practice these fundamentals halfway across the world?! 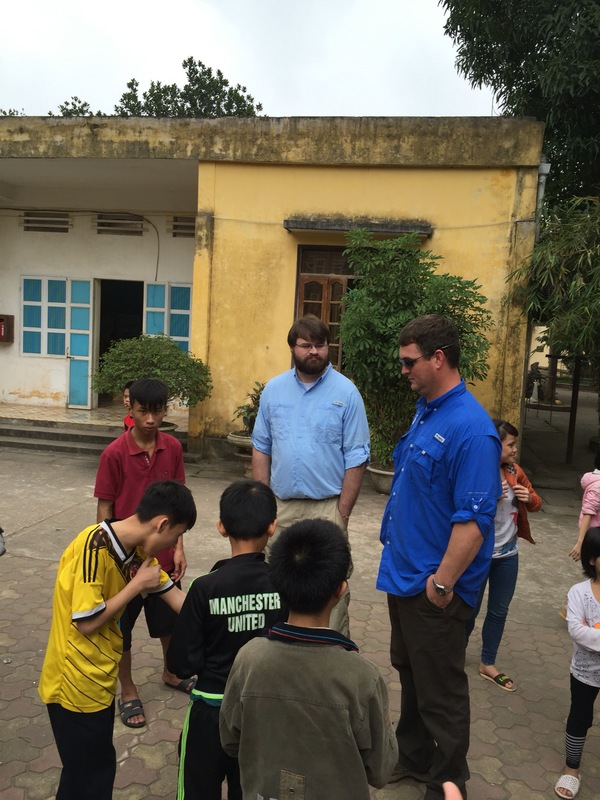 On our first day we had the distinct honor to visit the Chuc Son Orphanage. 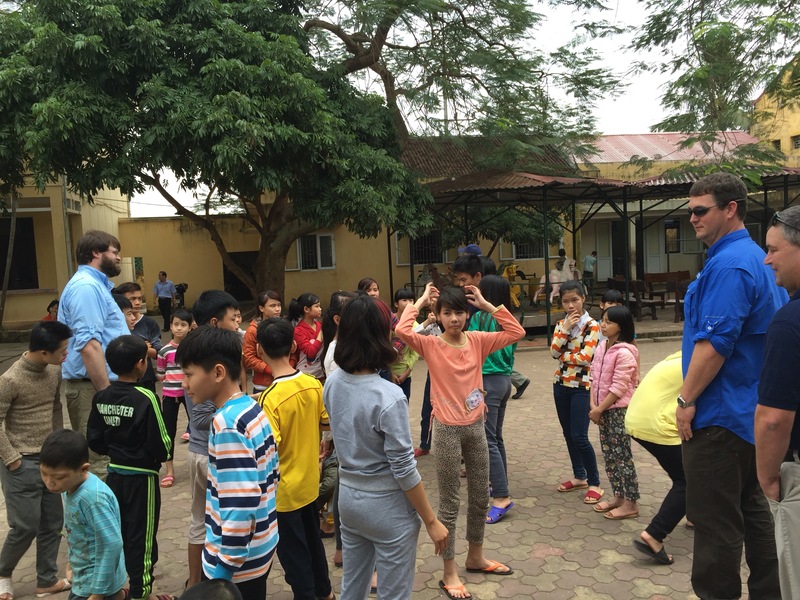 There are over 100 students at the orphanage, most of whom are deaf and mute. They were very excited to have western visitors. We played with them and have many gifts including toothpaste, tooth brushes, and crayons. A huge shout out to Virginia Cooperative Extention and Virginia Farm Bureua for their generous donations to give to the children. As you can see, the “giant men” were a hit! 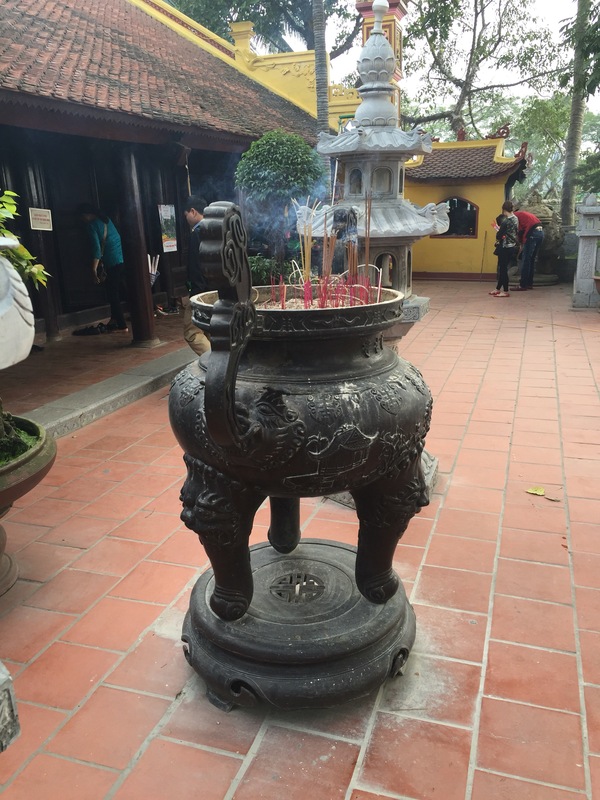 We also visited a Buddhist pagoda were many carry out the ritual of bringing offering to the temple. 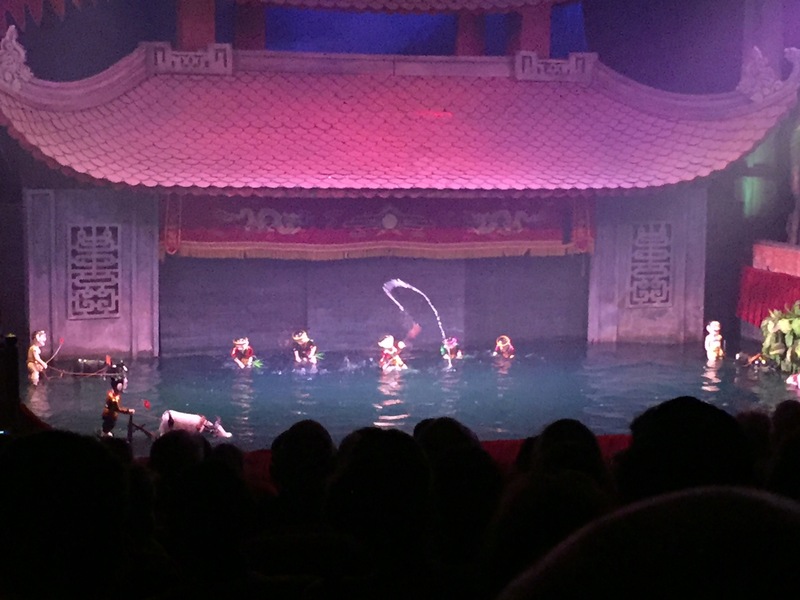 Perhaps a more intriguing stop was the water puppet show. This ancient art of “aqua puppetry” dates back several centuries. Different scenes are inacted using the puppets on sticks and the choreography is amazing! Back to hustle and bustle. 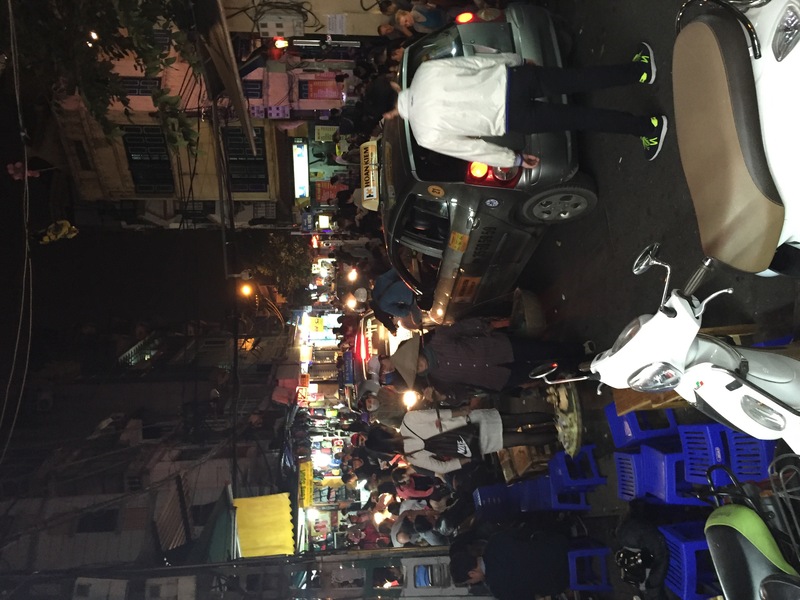 Traffic laws seem not to exist in Vietnam. There are hardly any stop lights; and if there are, they are merely a suggestion as to what to do in traffic. If I had 500 dong ($0.02) for every time someone blew their horn this first day, I would be a Vietnamese multi-millionaire! You are literally taking you life into your own hands when you step out on the street! Continue reading the blog for more great reads about our trip. Also, don’t forget to like us on Facebook and follow us on Twitter! Sounds like a humbling and rewarding experience! Keep the pics and blog posts coming!